Prominent & Leading Manufacturer from Pune, we offer curry powder and mix spice for hotel industries. 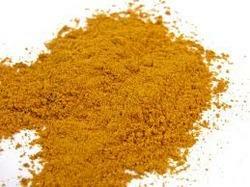 We are manufacturer & exporter of ready mix curry powder of different quality for veg & non veg items. We are among the leading suppliers of high quality Mix Spice For Hotel Industries. In the processing of these spices, we use superior quality raw materials, cutting edge technology and advanced machinery. Looking for Mix Spice for Hotel Industries ?